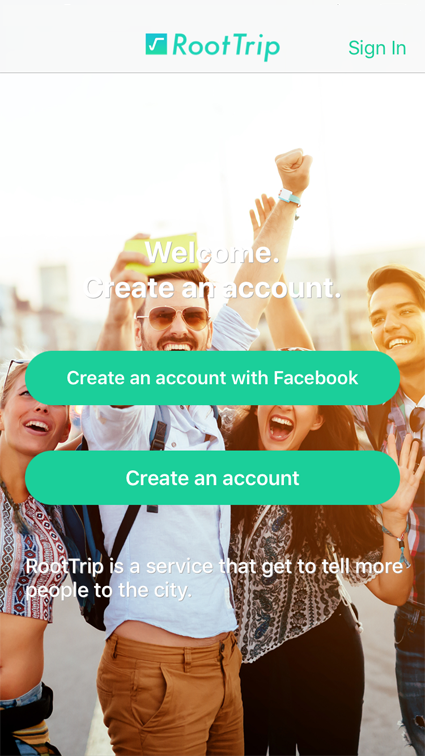 When you travel using RootTrip, Social App for Travelers, unknown places feel like home to you.RootTrip GUEST can travel comfortably with the help of locals who know much about their destinations.RootTrip connects travelers and locals. 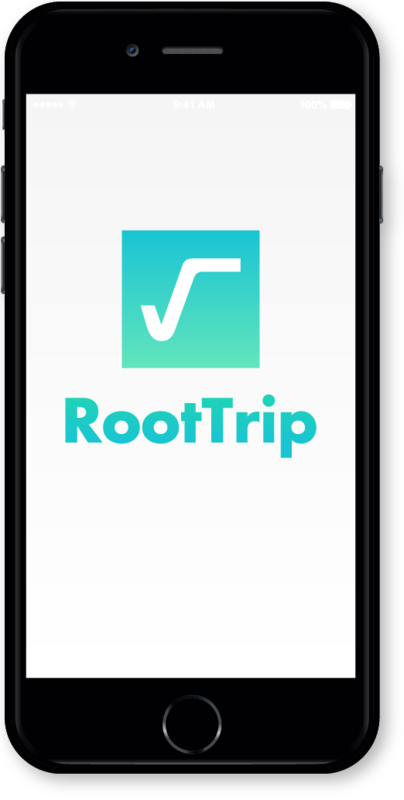 RootTrip lets you discover a new way of enjoying your trips. You can travel anywhere using RootTrip, even to a few stations away from you home. RootTrip provides travelers with safety and comfort. Send a request to an ideal GUIDE for your trip with a tentative schedule. GUEST can send as many requests as they want. Please accept or decline the request from GUEST by checking your schedule. We recommend you to accept the request then negotiate to adjust the schedule with GUEST afterwards. Plan the trip such as destinations and schedule in the chatroom on RootTrip. When the two parties agree on the trip plan, they can proceed to complete the reservation. Credit cards are accepted to make the payment for the trip. 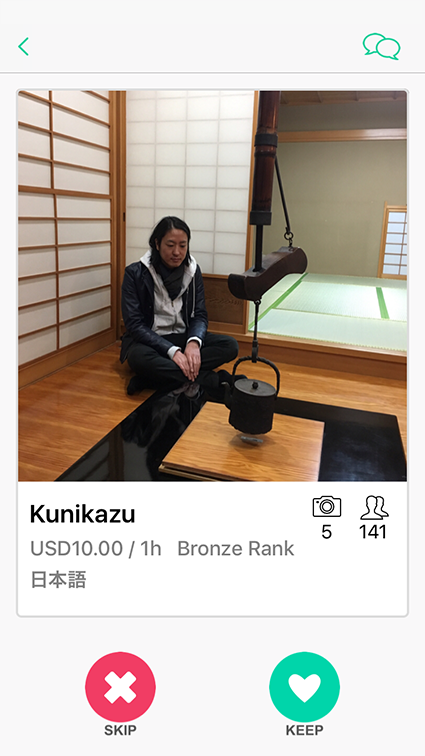 ・Credit card transaction fee and RootTrip processing fee will be charged in addition to the guiding fee. Start Code and Finish Code will be issued when reservations are confirmed. They will prevent imposters and mistaken identities. As soon as you enter Finish Code, the payment is automatically completed. The payment is deposited within 5 business days. RootTrip Office will deposit the payment to GUIDE's PayPal account. ※	GUIDE is responsible for the transaction fees when depositing the money to a personal account from PayPal account. Write a review on your GUIDE. You can write your review on GUIDE Review Sheet. Viewing Profile Cards, it's easy to find your ideal travel partners. Just swipe through the cards and keep the candidates you feel are suitable for your trip guide, then check out their profiles. 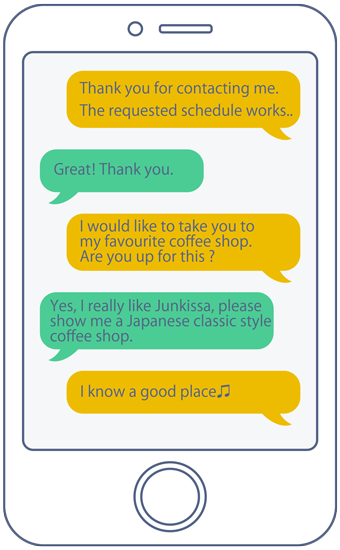 After your request is accepted, you can chat with your travel partner to plan your trip. Both GUIDE and GUEST agree on taking a trip together, then proceed to complete their trip reservation. You can always cancel the trip at this point. RootTrip is a Facebook authorized app, so anybody can simply log in to RootTrip using his/her Facebook account. This also functions as an age scanner to be 18 years old and older. 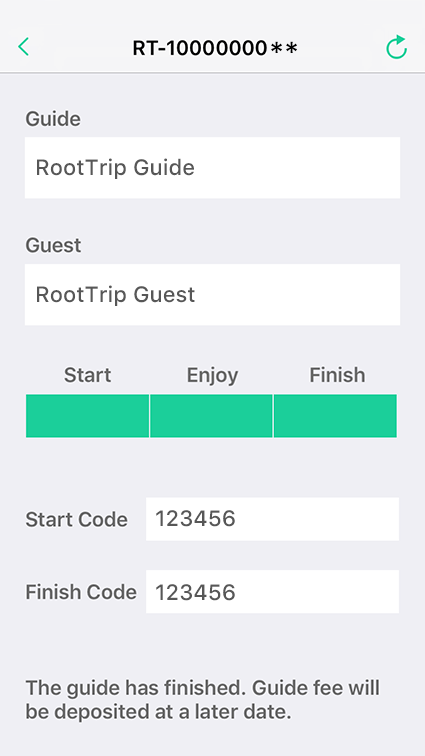 RootTrip publishes unique security codes only to be exchanged between GUIDE and GUEST in order to prevent imposers. 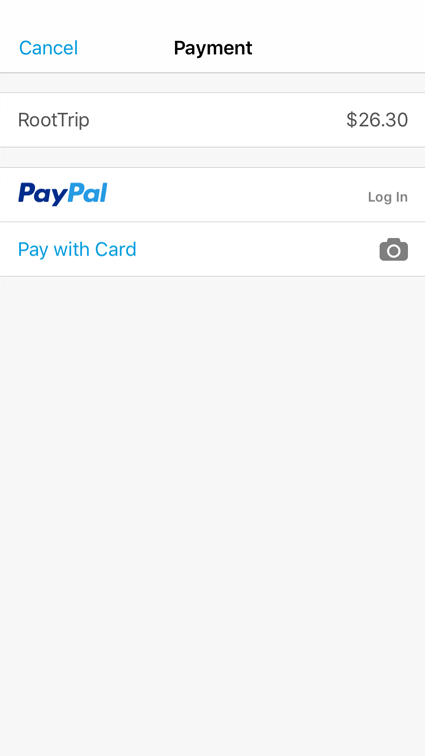 Payment transactions on RootTrip are made using PayPal.